My great-grandmother, Marguerite Lysle Hunter, lived to 91. She died on Christmas Day, 1967. She is buried in Allegheny Memorial Park, located in Allison Park, Allegheny County, Pennsylvania. 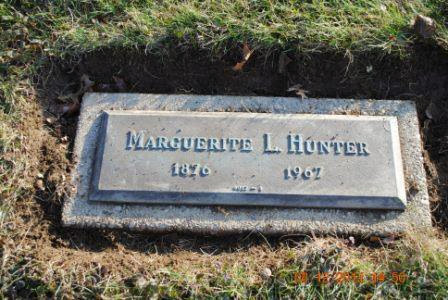 If you click through to her Find A Grave memorial, you will see that I have linked her memorial to those of her husband, Percy E. Hunter, her parents, George Lysle, Jr. and Marion Helen (Alston) Lysle, and to her five daughters (all five of whom are buried in the same section of the Allegheny Memorial Park cemetery).